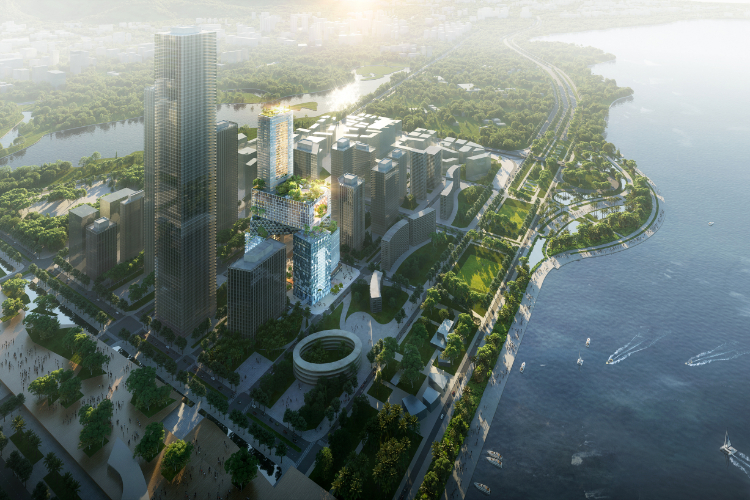 MVRDV has won the competition organized by Chinese real estate developer Vanke to design their new headquarters building in Shenzhen. 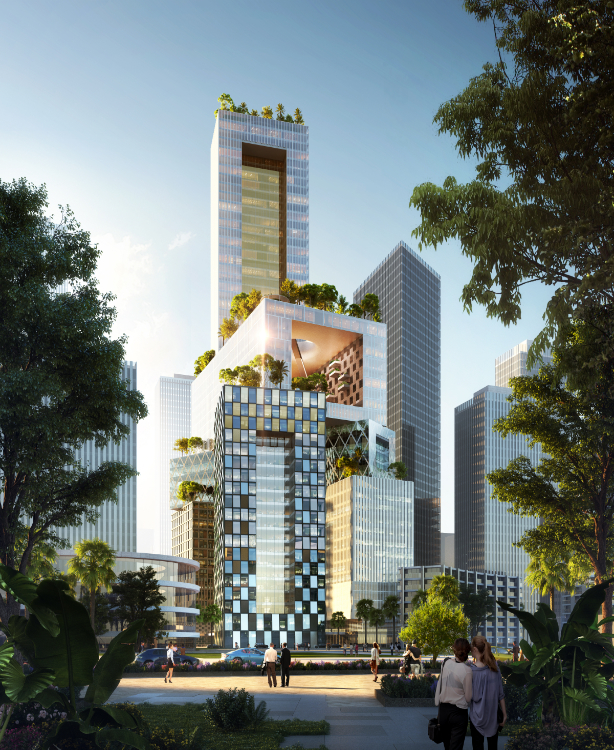 The 250-metre-tall Vanke Headquarter Tower – unofficially called Vanke 3D City by MVRDV – is due to start construction in mid-2019, and comprises a cluster of eight interlinked blocks of offices, housing and culture, rising from four separate bases to a single crowning tower. 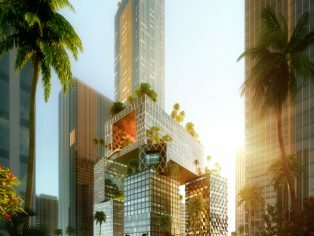 It is an ambitious proposal that heralds the next generation of skyscraper design, following the concept of the “three-dimensional city”—an idea that is the culmination of a series of research projects conducted by MVRDV. 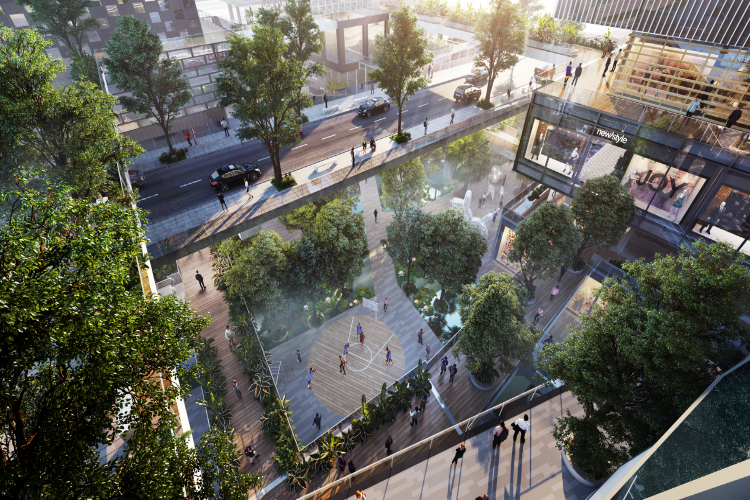 The concept of the three-dimensional city is one that developed from two parallel research threads pursued by MVRDV. 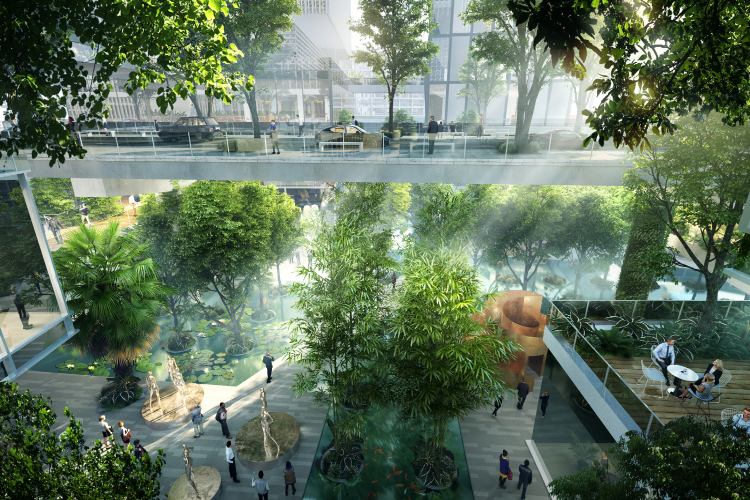 The first was begun by the Vertical Village project of 2009, which sparked a decade of investigation into how sustainable social dynamics and individuality can be maintained in dense urban environments by using cluster typologies. 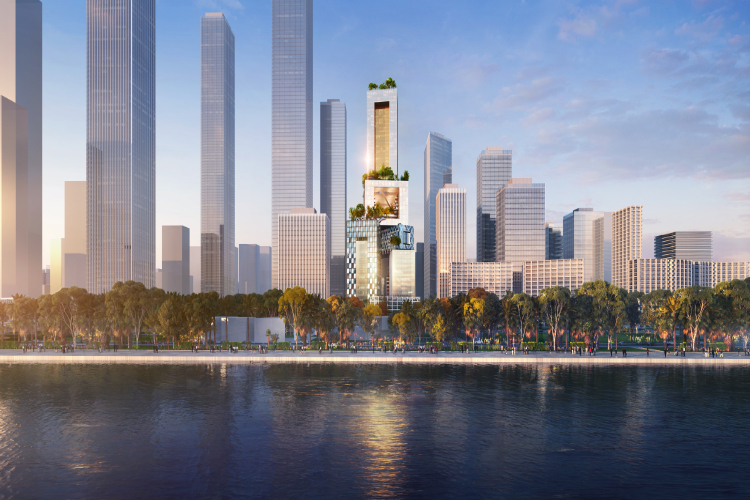 The second was a study into the evolution of skyscraper design: In the modernist period, skyscrapers were typically just an extruded rectangular ‘monolithic’ box. Later, singular structures with gestural forms developed, and more recently, another skyscraper typology has become popular, one the designers refer to as the ‘linked monolith’—that is, two or more extruded structures which are connected by sky bridges or show some other ‘collective gesture’. 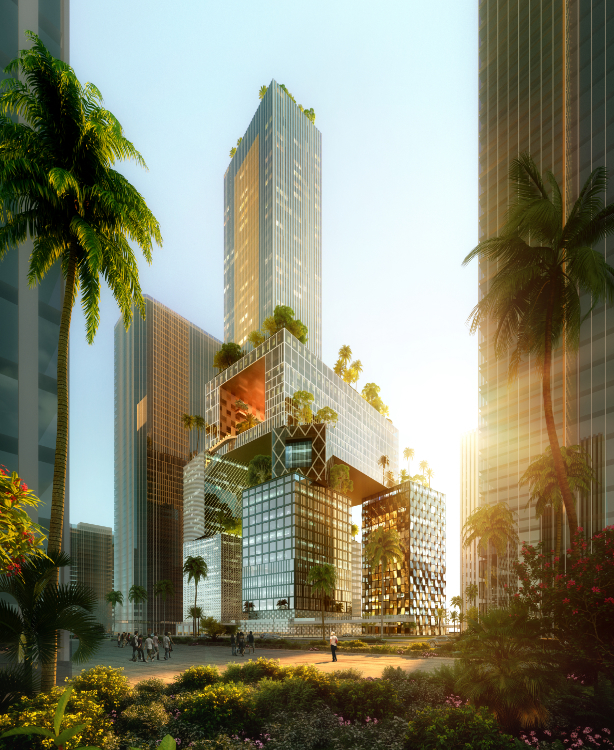 The three-dimensional city is a typology that moves beyond the extruded monolith entirely, using the clustered form inspired by the Vertical Village to create a skyscraper that is composed primarily of collective gestures.